Something Californians can all agree on? We need to take a closer look at how we manage our water, and find new ways to be better prepared for dry times in our future. And, we need to do it together. Groundwater recharge isn’t an entirely new concept – in fact, lots of farmers have been practicing it for decades – but we’ve been working with a broad coalition of growers, researchers and water managers since 2011 to evaluate how recharge can be tested and scaled, on a variety of crops. One crop with a lot of potential? Wine grapes. Grown on sandy soils, these bountiful vines are promising sites for farmers to use available surface water to fill their parched aquifers affordably, and safely. And, combined with conventional recharge strategies like dedicated recharge basins, on-farm recharge can significantly increase groundwater replenishment. By maximizing recharge in California’s wet years, we can be better prepared for future droughts. 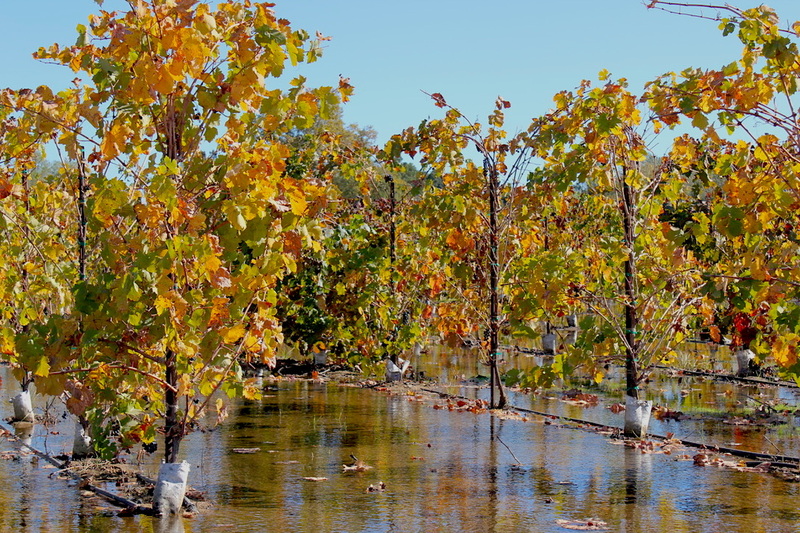 Al Costa, a wine-grape grower in Acampo (near Lodi), has been flooding a section of his vineyard for two years now in partnership with Sustainable Conservation, the North San Joaquin Water Conservation District and others. 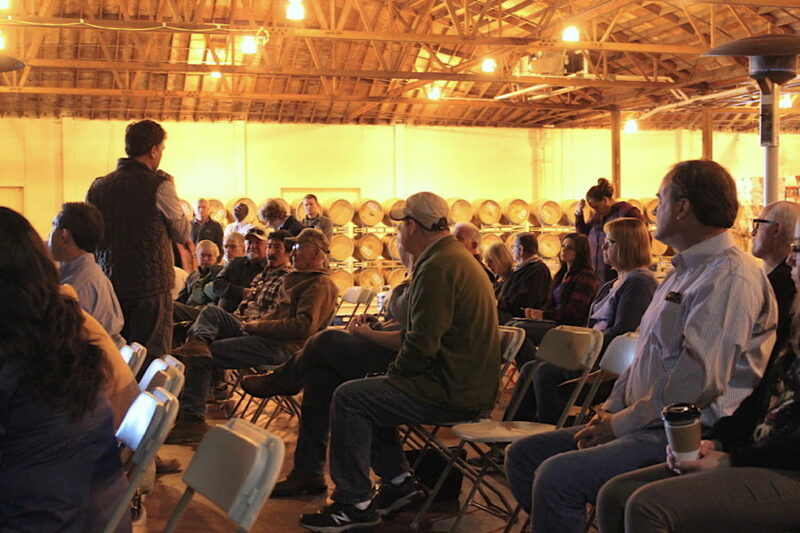 This past month, local growers attended a workshop at Costa’s vineyard to learn more. Lodi is an important wine-grape region, with annual yields totaling 20% of the entire state’s wine-grape production. That’s more than Napa and Sonoma counties combined. 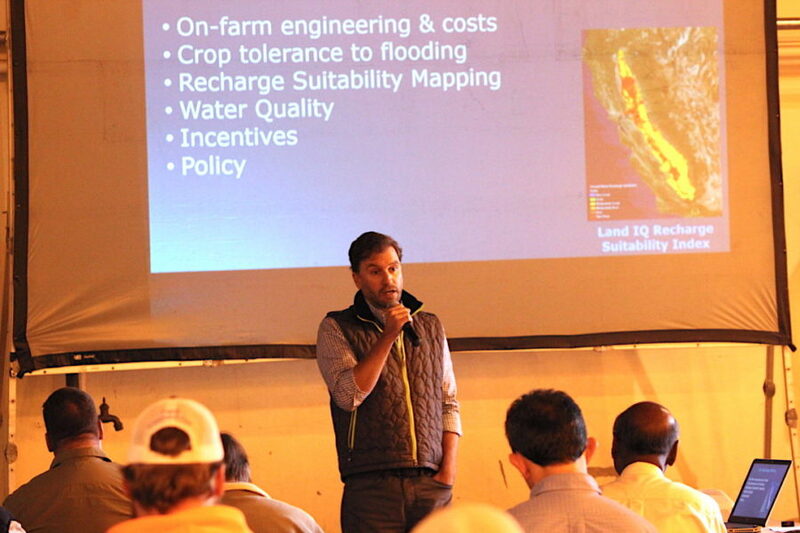 The workshop focused on how farmers, landowners and water districts can use active and fallow farmland to increase groundwater recharge while avoiding crop health problems, minimizing nutrient leaching and limiting the disruption of farm operations. 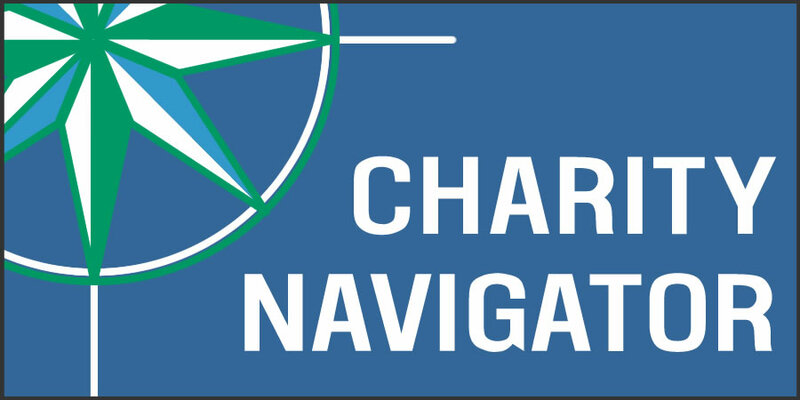 Sustainable Conservation Project Director Joseph Choperena kicked off the day describing the research methodologies and findings from the 2017 and 2018 recharge trials. 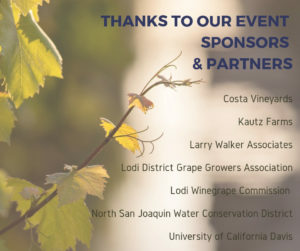 Presenters from Michael David Winery and the Cosumnes River Deer Creek recharge project also shared information on their respective projects to help attendees understand what research is being done, and how groundwater recharge can be part of a farm’s annual operations. 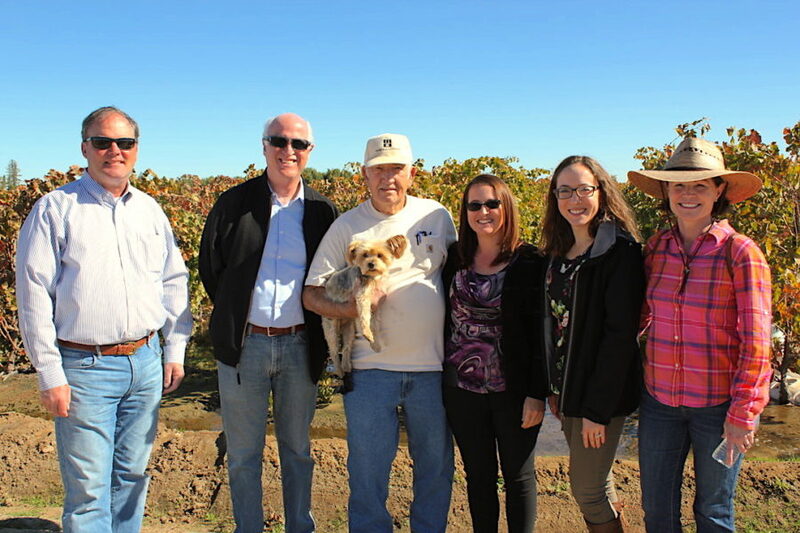 The workshop concluded with a tour of the Costa Vineyards recharge project site for folks who wanted to see the practice in action. Thanks to all of our partners, workshop sponsors, funders and attendees for a great day of presentations, a fantastic field tour and all-around enthusiastic participation! Together, we can keep pushing innovation forward to help secure a better water future for all Californians. 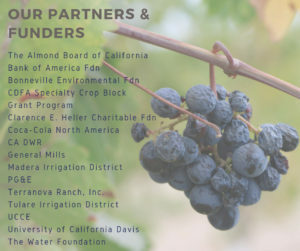 And, special thanks to all of Sustainable Conservation’s funders and partners who help us test and scale groundwater recharge around our Golden State.